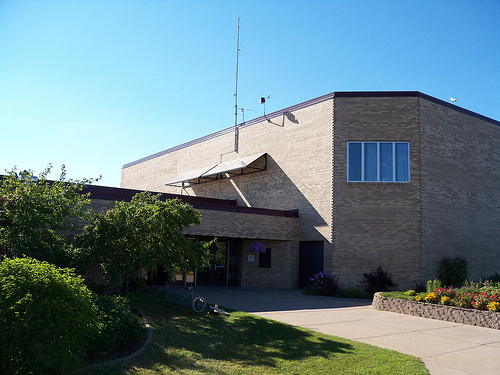 Baraga Area Schools have come a long way since they began in 1869. Over the past 3 years they have focused on improving energy use by upgrading to efficient lighting, installing a Computerized Energy Management System, and replacing hot water heaters with high efficiency units. Their efforts to improve and update their facilities have benefited them threefold. The crowning jewel to their commitment to sustainability is their new solar PV awning, an installation as part of the Michigan Renewable Schools Program. Since monitoring began 7/15/2010, this system has generated 15,018 kilowatt hours of clean energy.